*This post contains affiliate links. I may earn a commission on my recommendations at no cost to you. A little over a month ago (beginning of March) I got word that my stepdad who had been battling brain cancer was being put on hospice care. My family and I had already planned a trip to see him at the end of March on our way to California. Now I found myself scrambling to rearrange plans, tweak our budget and try to figure out how I could get out to Idaho to see my stepdad during his final days. I spent a full week in Idaho visiting him, helping him and saying my goodbyes. When I came home, I went into full working mode for a week. This is definitely my coping mechanism. Whenever there is something in my life that I can’t control, I jump head first into the things that I can control. When my grandma passed away, I went to visit my mom and I decluttered her entire house…like a lunatic. For me, this little blog of mine has always served as a perfect distraction. Then, like I always do, after a week, I crashed. I stopped functioning. I couldn’t think and I spent most of my days crying and sleeping. On top of it all, we still had our 2-week family vacation/road trip planned. I needed to make all the arrangements knowing that our trip would no longer include a stop in Idaho. I was barely getting by and the blog definitely fell by the wayside. Thankfully, I have gotten to a point in life that I recognize my unhealthy patterns and have started taking more initiative when it comes to taking care of my mental and physical health during times of high stress. That meant, instead of pushing myself to be better, or do more, or work harder, I accepted the fact that most days I would not be performing at 100%. Just getting by was going to have to be enough. On the last day of March, we took off for our road trip. The plan was to go from Minnesota to Wyoming and then from Wyoming to California. Tom’s brother lives in California and since he is in the Navy, it is very rare that we get to visit with him and his family. It had already been years since we last saw them. Tom knew the stress I was under and repeatedly told me we didn’t have to make the trip. However, more than ever, I had a renewed sense of how important it is to maintain these relationships. There was no way we were cancelling. If you follow me on any form of social media, you have probably heard me say over and over again how important people are in life. We only get one of them. There is no replacing the people in our lives and there is no way to get back any time we might lose with them. So we headed off on our trip. One of the things I love most about running the blog is that I can do it from anywhere. That’s why I made sure to bring my laptop along with me on our roadtrip. I wanted to make sure that during any downtime I would be able to get some work done. The two mornings I spent in Wyoming, I got up early (or should I say my regular time) and managed to fit a little work in. At night, when we’d watch TV, I would do some of the more “mindless” work like re-pinning on Pinterest or scheduling pins to Tailwind. Get my free lecture on creating multiple pins for Pinterest. Even though we were now one hour ahead thanks to the time zone change, I still managed to stay close to my same blogging schedule. The days following wouldn’t be as easy. As we traveled through Utah and Nevada into California, we switched time zones yet again and our schedule got a little more hectic. To avoid traffic most mornings, we were getting up early to make it to our hiking or beach destinations. Let me tell you, in case you didn’t know, this whole parenting gig can be kind of a drag. Having two older girls, they often had a different agenda of how they wanted to spend their days that were very different from the activities we had planned for us and our little ones. Trying to find an even ground wasn’t always easy. With all this chaos and early schedule, it was rare that I got any of my morning work in. I would still go to bed earlier to try and get some work done (maybe an hour or so) before I would actually go to bed to prepare for another early morning the next day. In all honesty, I didn’t do much blogging on vacation at all. We got to meet our great nieces who we’ve never really met. Our kids got to play their cousins that they never see. We threw my daughter a birthday party at Mission Beach and had Dominoes pizza and a Baskin Robbins ice cream cake. We took family hikes along the ocean. Spent days relaxing on the beach. We made PB&Js in the back of our rented mini van and took morning walks together around the suburbs of Southern California. I saw new, amazing sights and re-visited old California favorites. Basically, I lived a life without a schedule, without stress and I was actually able to soak up the moments completely. What happened when I stopped blogging for a month? So how did this time off affect me? What impact did it have on the blog? Because I was not consistently promoting and sharing my content, there was a dip in my blog traffic. Normally, this would send me into a stressed-out panic, but this time I accepted the decline in traffic just like I accepted my mental health state. Now, I love working mode. I love that feeling I get when I’m just “flowing.” When I can write all day, create graphics, answer emails and operate social media flawlessly while throwing in a YouTube video here and there. This easy flowing drive has just been almost completely gone. My brain feels like it can’t even begin to fathom how I will get back into that state of mind again. But I know it will. With a decrease in traffic, naturally, my income went down a little this month. In fact, I haven’t even had a chance to really track my income. And that’s ok. I know I will get right back into the swing of things soon after we get home. Today’s blog post is being brought to you last minute because…I totally forgot to write it!! I woke up this morning and actually realized it was Tuesday…a day I normally post…and realized I didn’t have any post scheduled! Yikes! This kind of forced me back into creative mode for the day and I am currently writing in the car on our way to Colorado! Normally, I have a few blog posts written and scheduled, so I don’t feel overwhelmed or feel obligated to write something at the last minute. Because I haven’t been keeping up on my writing, my schedule has definitely fallen behind. Perhaps I will get a chance to catch up a little over the next few days. But then again, maybe not. Although my income did decrease along with my traffic, I still have an income coming in! I can’t express enough how great this is! Sure, it could be more, but considering that I have basically stopped blogging for a month, it’s pretty exciting to know that I’m still getting paid! More than anything, this month-long break from blogging has allowed me to give my brain a much-needed break. Running the blog is something I do for me (and for my family.) Because I don’t have anyone to answer to, and I haven’t been carrying the stress of deadlines with me. My brain has been able to fully unwind and it was much needed. Like I said, the relationships in my life are far more important than anything else and over the last few weeks, I have really had a chance to build on those relationships and soak up the people who mean the most to me. Although there were downsides when I stopped blogging for a month, it has been a great reminder as to why I started in the first place. I wanted to create an income that was flexible and allowed me the ability to set my own hours and take vacations when I need them. Not only have we been able to travel for 2 weeks, but I was also able to drop everything for a full week in order to spend time with my stepdad before he passed away. I’m so thankful every day that I made the leap into blogging 2 years ago and only hope to keep growing it from here. 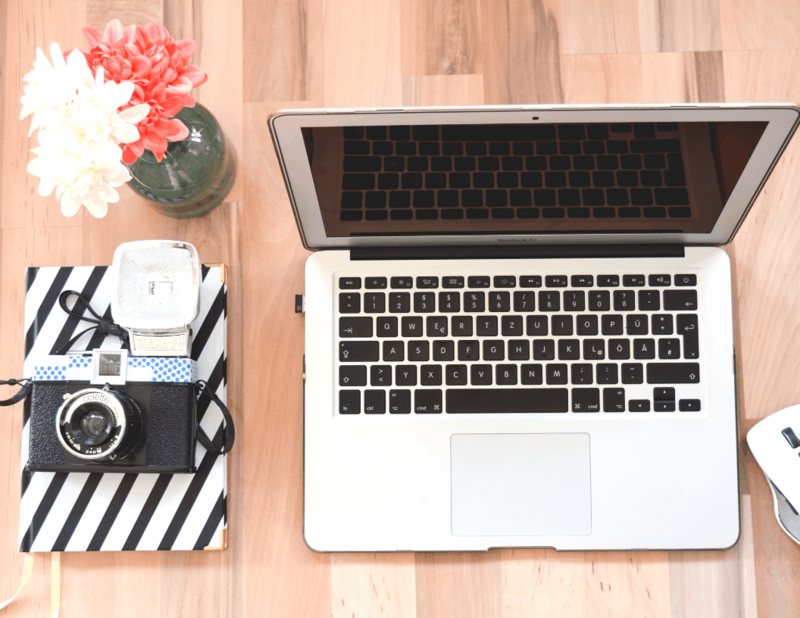 Have you ever thought about starting a blog? Read my post about the 7 most asked questions about how to make money blogging and get the 5 free lectures in my blogging post, The Fun Sized Blogging Basics. Right now, my course is listed at $75, but starting on June 1st, the price will be $300!! Why? Because I am totally revamping the course and jam-packing it full of information and one on one tutorials that will show you my exact workload. Blogging has created so much freedom in my life, and I am very passionate about helping others do the same. Get the course now.